When you edit the cost within a PO, it notes that the cost was manually entered by the dealer. Pricing changes made to items within the order itself will only apply to that particular order. It will not save the prices for future use, unless you make the changes from the catalog. If you need to use a promo code on an order, manually change the price to reflect the promotion by clicking the cost per item. You can also note the promo code in a message to the rep. 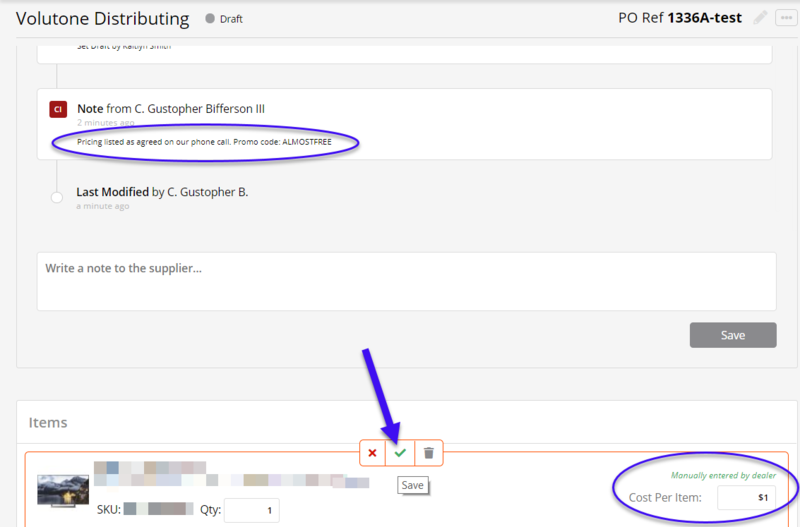 Select Save after you add your message in the Write a note to the supplier... field.